Hear straight from the man himself as he enthusiastically talks about his adidas signature shoe. Dikembe Mutombo is being inducted into Naismith Memorial Basketball Hall of Fame today. In honor of his achievement, we’re taking a look back at an interview we ran back when his first adidas signature sneaker was being retroed. Check it out below. 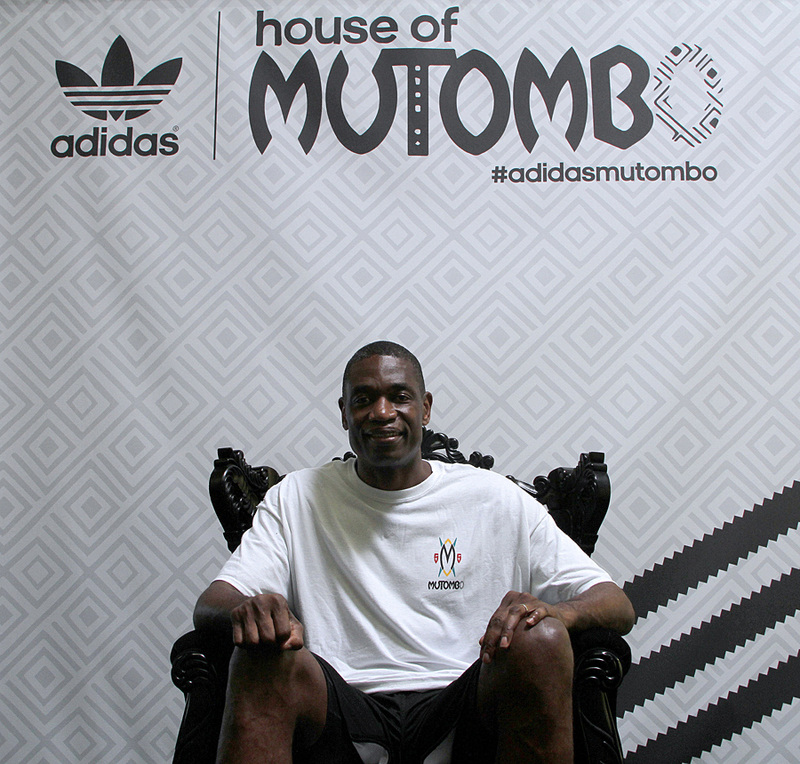 Dikembe Mutombo sits in a black adidas throne, in front of a white backdrop that subtly incorporates the African tribal pattern that inspired the original adidas Mutombo more than two decades ago. He wags his finger for photos and transitions between poses with beaming smiles and resolute determination. And then that breaks without warning. Mutombo loses his focus while being photographed because he spotted someone he didn’t recognize wearing the sneaker he’s dedicated his day to promote. 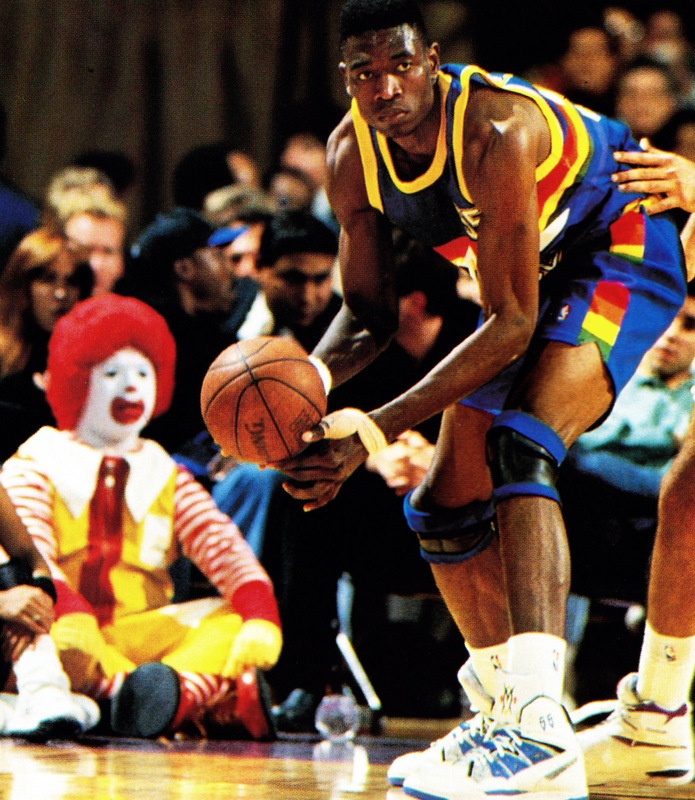 The very pair he’s wearing can still steal away his attention -- the design he introduced as the Denver Nuggets’ towering paint presence in 1992. 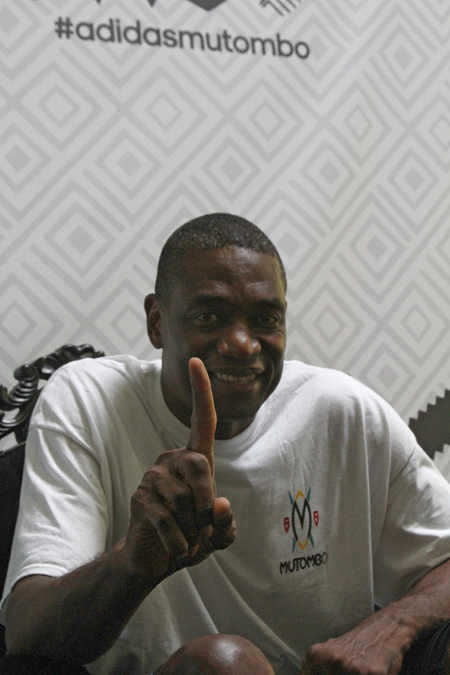 It’s been a resurgent year for Mutombo, and he’s basking in the moment. After his clever turn in a viral Geico spot, it’s clear that the only thing that might make Dikembe Mutombo happier than blocking a shot is letting him talk about his first signature sneaker. He brims with enthusiasm while discussing the adidas Mutombo, neglecting the expectations of his 47 years to showcase the same youthful exuberance that drives today’s sneaker culture. His tenacity as a defender, shot blocker, and rebounder -- as well as his humility and vivacity for the game -- made him the logical candidate for adidas’ plunge into the retro market. While basketball longs for its next great center, the last year has allowed sneakerheads to live vicariously through the legendary big men of the 90s. Patrick Ewing and Shaquille O’Neal have also re-introduced their footwear to a market that’s embracing more than the Jumpman. Mutombo is animated while sharing his story, looking like he’s ready for another 19-year NBA run. The energy is startling for a man who was named Defensive Player of the Year four times, led the league in blocks for three straight seasons (1994-96), was a two-time NBA rebounding champ, and played in eight All-Star games. 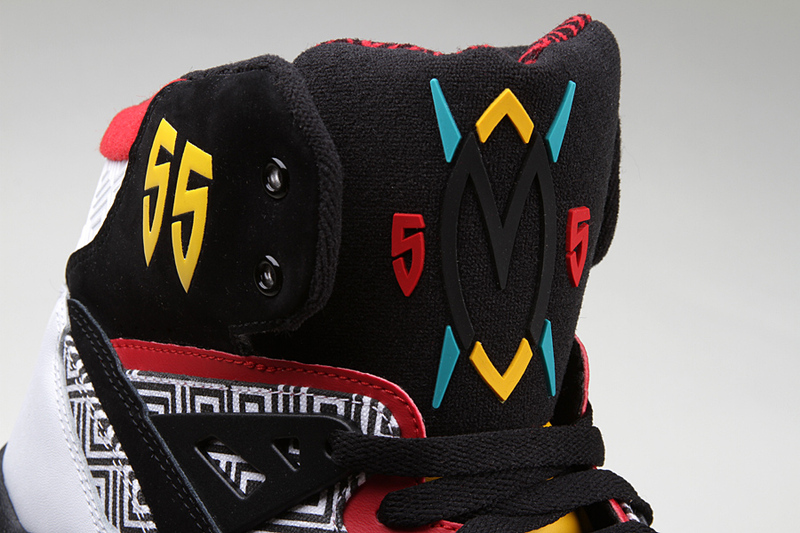 For Mutombo, the sneaker represents a new kind of immortality. 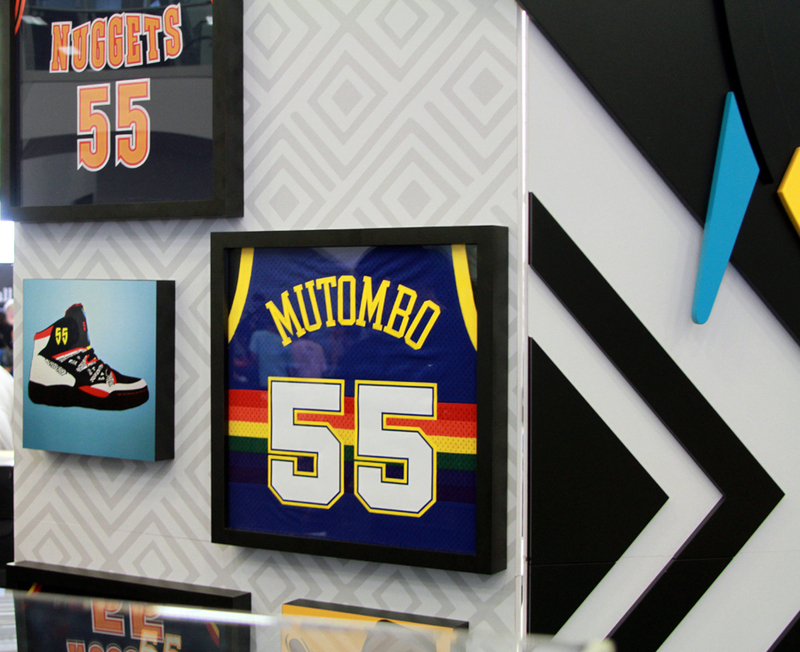 He spoke with Sole Collector about his feelings on today’s sneaker market, his favorite moment in the adidas Mutombo, and how the design simultaneously captures his spirit and honors his roots. Angel Navedo: When did you first hear from adidas that they were hoping to bring back your own shoe? AN: What was your reaction to that news? DM: I fell to my knees and thanked God this was happening. I couldn’t believe it. It was a big move from the company. I was proud of myself, but I was really proud for my parents -- for them to see the respect I’ve earned. For me to still have such a huge fan base who still follows me, and for that to inspire a company like adidas to say, “Okay, this is one of our guys and we want to bring him back,” -- that’s very cool. AN: How does it feel to see your sneakers released again for an entirely new generation of sneakerheads? 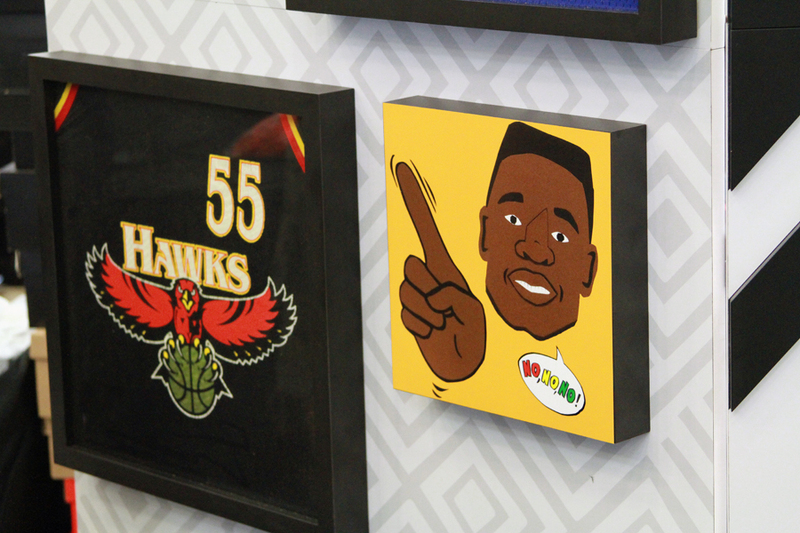 DM: When I was coming up from the airport, I looked at how many young people were on the line [at Sneakercon], I watched them coming in, and I saw them wanting to see what the adidas Mutombo shoe was going to look like. It’s a great thing to see: kids who were born while I was playing interested in something about me. Now, they know about me and this “No, no, no!” and they want to know where it came from. And it all originates from an adidas commercial in 1992. AN: What do you remember about when adidas originally designed the shoe? DM: I remember the designing process and how much I was involved. adidas wanted to find the true identity of Mutombo, where I come from, and something that would represent my country of birth. They wanted to represent the African continent and what I stood for as a player. It was about representing me as a defensive player and my shot blocking career, as someone who always protected. And that’s what it’s about. The shield is about protecting my kingdom. This shoe is about protecting your lane and not letting anyone penetrate your territory. AN: How do you feel about the materials used on the shoe and the upcoming colors? DM: I was very impressed with the fabric and materials used. It’s pretty unique and very rich, and I’m happy with the way it came out. We’re going with the originals first for this pair releasing in August, but there are other colors. There’s going to be a black pair, and then a black and purple, and a blue and orange. There’s going to be a lot. Adidas is full of surprises with the colors. I think there are going to be four or five colors. AN: Is there a pair you’re looking forward to most? DM: Oh, I like the black one. There’s nothing like black. And this first pair is really special, which is why they put it out as the first one. It’s going very well right now and fans are waiting for it. AN: What do you remember about wearing the shoe in the 90s? And what did your teammates and friends think of it? DM: They knew it helped explode my career from the beginning. People wondered how I played the way I did through my first six years and I’d say, “Because I had the best shoes to protect my feet, and help me rebound and block shots.” That’s what it’s about. AN: Do you have a favorite game? DM: Of course. 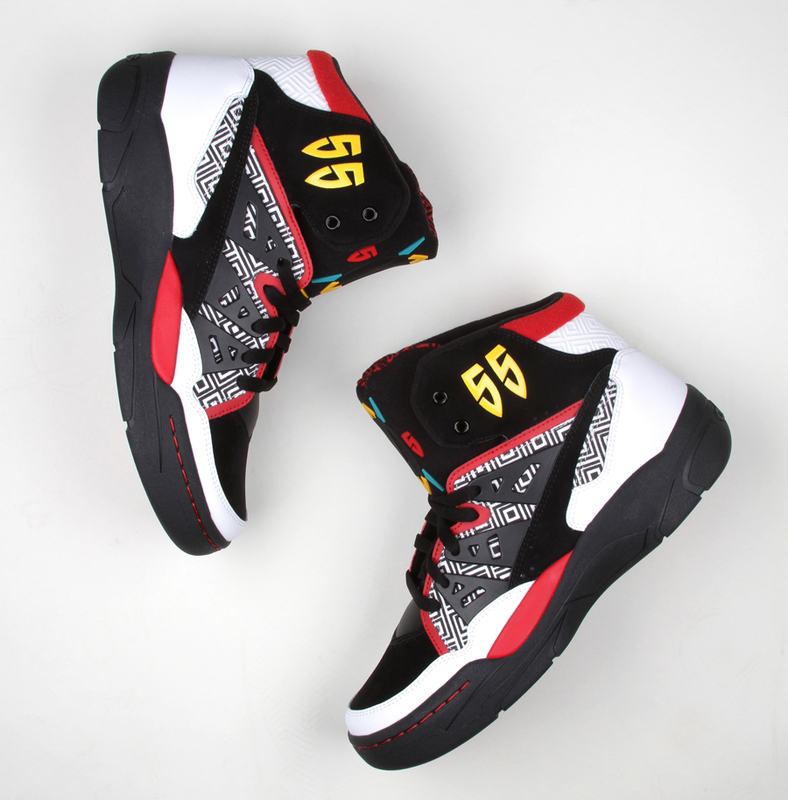 Remember the Seattle series when I was laying down and the Mutombo shoes were showing? People were thinking, “Was he showing the shoes? Or was he celebrating with the basketball?” Maybe it was a little bit of both. I think that’s one of the best memories of my career. Nobody can take that away. AN: We’ve seen a lot of sneakers worn by guys you played with returning to the market. Does the competitive spirit remain to this day? DM: The competition is there, but there’s no telling who will go out and win the market. I’m just glad to be affiliated with one of the biggest companies in the world. It’s international. For them to bring my shoes back to the market, I don’t think there’s anything better I can ask.